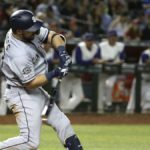 Is Mike Moustakas a Solid Plan B For the Padres? 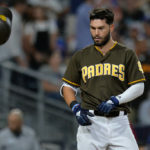 If the San Diego Padres are unable to secure the services of Manny Machado, there are multiple reports that the team has a backup plan. 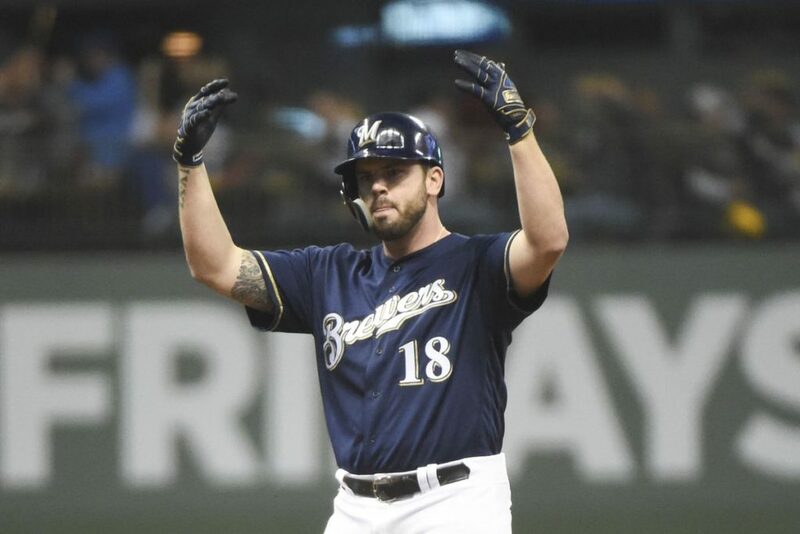 Mike Moustakas could be in the cards for the Padres, as they search for a capable third baseman for the 2019 season. This past weekend was wild on social media with the San Diego Padres rumored to be square in the race for all-world infielder Manny Machado. 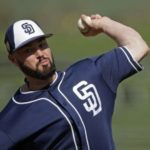 It still feels like a dream for some Padre fans, but it seems to be getting more and more realistic. However, there is the harsh reality that Machado may simply not want to play in San Diego (which is unimaginable), but alas, he is human and capable of making his own decisions. So if he does choose the White Sox (or another “big market, big money” team), where does this leave the Padres? Not without options. 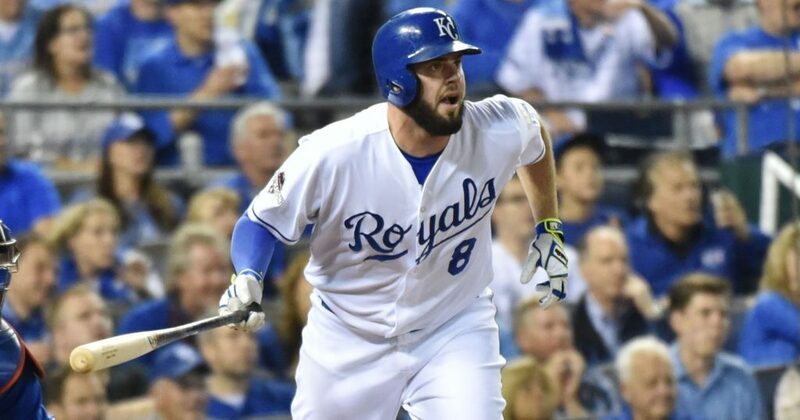 Rumor has it that the Padres are still very interested in former Eric Hosmer teammate in Kansas City, Mike Moustakas, to man the hot corner. “Moose” is certainly well-liked by his teammates and it seems Hosmer can vouch for that. It’s tough to not like a teammate with whom you won a World Series, which they did in 2015. 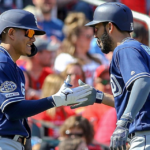 In a vacuum, the Padres would likely choose Machado’s elite-level talent and production over Moustakas’, but this is the real world where, as the Rolling Stones put it best, “you can’t always get what you want.” The Padres may have to look at other options besides Machado. Moustakas is the next best thing at third base. Let’s go through the pros and cons of Moustakas as a backup plan. First and foremost, Moustakas would be a cheaper option, and we all know how the Padres normally operate. In November, FanGraphs released information about the top 50 free agents and Moustakas was listed as having an average annual value (AAV) of about $12 million. Compare that to the money Machado will command, which is about $31 million per year. So you are looking at almost $20 million more on the payroll you could work with to get another piece or two, preferably a pitcher, like Dallas Keuchel. Moustakas seems to be a good clubhouse guy who has been there and done that. He brings experience. Although he will be 30 years old, he does have a World Series ring on his finger from 2015, something Machado does not have. And he didn’t sit idly by as the Royals won it all as he hit .304 with three RBI in that Fall Classic. In 2018, he was a big reason why the Brewers eliminated the Rockies in the Division Series when he hit .364 with a double, two walks, and two runs scored. His bat has been consistent over the past few years. He has not had a wRC+ lower than 105 in the last four seasons. He would bring power back to the hot corner as he has hit 66 homers in the last two seasons, including 38 in 2017. The Padres have not had a player hit more than 20 home runs at third base since Chase Headley’s other-worldly 2012 campaign. 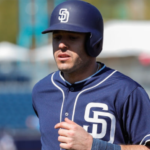 He would still be very much an upgrade from previous Padres third basemen. Christian Villanueva had a 104 wRC+ with 20 home runs and 1.2 WAR. Cory Spangenberg was the main man in 2017 and his numbers were much worse. Moustakas posted a 105 wRC+ with 28 home runs and a 2.4 WAR. He has averaged a 113 wRC+ in his last four seasons. He is 30 years old, four years older than Machado. He is not as athletic as Machado is, as Machado can also play a serviceable shortstop. Machado has stolen 23 bases in the last two years while Moustakas has stolen four. While Moose has had success with the bat, especially in the last few years, he does not have near the offensive prowess or consistency Machado has. Machado has a career wRC+ of 120 while Moustakas is at 98. Because of his age, the contract would be shorter term, thus only having third base taken care of for two to three years instead of eight-plus with Machado. One could argue that at that time, the Padres could turn to Tatis at third, but then here we go again with shortstop being a question mark. It would behoove the Padres to leave Tatis at shortstop as long as physically possible. There are other options out there besides Moustakas that could be as good of a fit. Marwin Gonzalez still remains unsigned. Even though he’s the same age as Moustakas, he is much more versatile. He could come at a cheaper price as well. All in all, yes, Moustakas is a good Plan B if Machado signs elsewhere. Sure, Padres fans will be disappointed with missing out on perhaps the best free agent of this decade, but Moustakas is a proven veteran with a solid track record. If 2020 is when the window begins to open, Moustakas could help lead the way for the younger guys to follow. 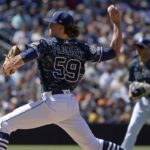 Previous Would a Trade of Mejia for Realmuto be a Smart Move for Padres? Have the Padres looked at trading for Rafael Devers from Boston? Boston has a stud 3B who’s almost ready for the bigs. Devers might be a good trade option for San Diego. The Padres will sign Harper, Moustakes, and try an undervalued trade for Kluber. &/or sign Gio at 1yr as backup. Who doesn’t want to pitch in Petco? As a free agent hitter however, I’d like to know I will put up better #s than my own staff allows….. I trust Preller has it all figured out. And thank you ownership for changing the Padres’ future culture. I’d like the Machado #s. Both Haper and Machado at 5 years , plus 5 option. Can we please stop with this useless “but he’s a friend of Hosmer’s” line? We are not in grade school choosing up sides for kickball, where we pick our friends first. He was a FA last year and no one wanted him. No one. Doesn’t that tell you anything? It should. Hmm, seems like he is … a below average player. Machado is an idiot on the field and a cancer in the clubhouse. 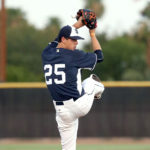 Signing him would be a horrendous idea for the Padres. He’s the last guy in the MLB you want making impressions on all our young players. Give me a character guy like Moose any day over what is sure to be a Machado migraine!